Don’t those summer days feel like a dreamy, hazy and somewhat distant memory already" It sure was a summer to remember and WWW readers Kat and Steve were lucky enough to tie the knot on the balmy 21st July 2018. The images here today by Luis Calow really capture the essence of their day, the sunshine and the relaxed natural vibes. In fact the sunlit shots and the pedalo boat portraits really are something else. Just magic! 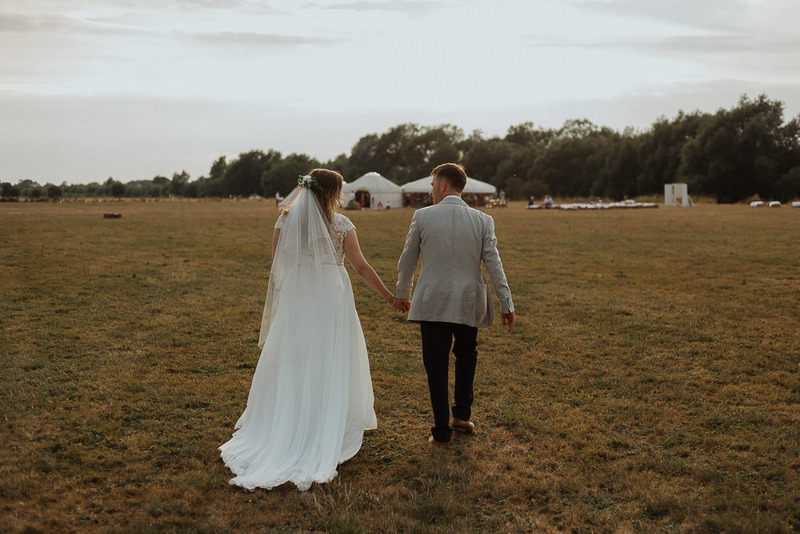 Our pair envisioned a relaxed and natural yet pretty day, with lots of fantastic handcrafted elements and plenty of greenery to decorate their gorgeous yurt at Riverside Weddings in Oxfordshire. The setting really was idyllic and enabled their fun vision perfectly. Boat rides, live music and and an outdoor ceremony complete with macramé backdrop made their wedding so unique. I really recommend reading Kat and Steve’s report below, it’s a really lovely story of their day. Enjoy it all lovelies.